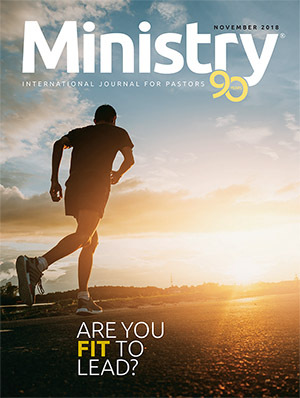 Dr. Ford's replies to the questions asked in Pastor Parmenter's August 15 letter to him can be analyzed by the reader (see p. 10). However, some major observations, particularly of the twelve points Dr. Ford makes as a postscript to his first reply, seem in order. Dr. Ford's letter is not a clear, concise answer to the questions asked by Pastor Parmenter, It contains qualified answers, ambiguities, and reservations that could very easily become the basis of conflict in the future. In his response he initially admits that he could be wrong in his proposed solutions to the so-called "sanctuary problem" and he is willing to be silent on the disputed areas. As to his views regarding the role of Ellen White, he does not feel that they are out of harmony with the Dallas statement of "Fundamental Beliefs." 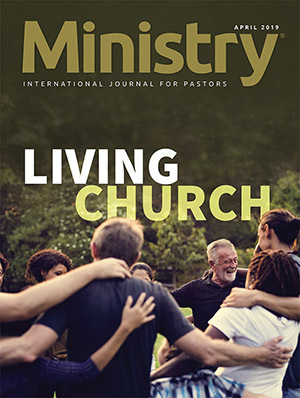 When asked to preach and teach in harmony with the church's fundamental beliefs, he answers only that he can affirm the consensus statement "Christ in the Heavenly Sanctuary," which is not the official statement of the church's "Fundamental Beliefs." The official position he can proclaim only in "essence" as he understands it to the same extent as the majority of his fellow teachers at Glacier View. To assert agreement in essence, how ever, leaves a very large loophole in deed. Any reader who has tried to collect a debt from someone who says, "I agree, in principle (or in essence), that I owe you the money," knows that a fol lowing "but" will make collection of the alleged debt highly unlikely. 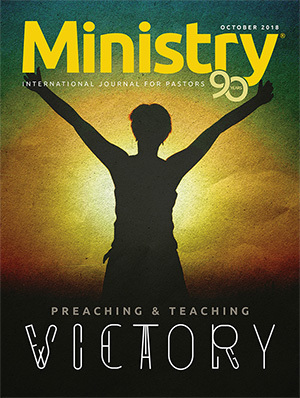 The question is, How far can one go in subscribing "in essence" to any scriptural concept of doctrinal position? Is it sufficient to say that we agree to a particular point "in essence"? The Christian progressive Creationist can accept the Creation ac count of Genesis "in essence." He believes that God brought material into existence, but that the evolutionary process, through eons of time, produced what Seventh-day Adventist Creationists believe happened in six literal days. Any Christian would subscribe to the doctrine of baptism "in essence." But certainly all Christians would not sub scribe to adult baptism by immersion as the only proper mode. Christians with widely divergent practices can agree "in essence." After having caused the church to expend scores of thousands of dollars in meeting his views, not to mention the thousands of man-hours spent, and after having caused confusion to many of his students and other listeners, Dr. Ford surely owes his brethren something more than a nebulous statement of agreement "in essence" ... "as I understand it." What has been at issue is precisely the views Dr. Ford has advanced of his understanding of the "essence" of the sanctuary doctrine and the place of Ellen White in reinforcing doctrine. Further, it is not enough to assert fidelity to the "same extent" as "the majority of my fellow teachers at Glacier View." Dr. Ford's fellow teachers at Glacier View, whatever the personal questions of some, have not created a problem for the church through public espousal of their views. Nor are his fellow teachers on record as supporting anything other than the document voted by the conference, a document that is based on, and includes, the church's historic statement of belief in the very points he challenges. His colleagues at Glacier View, whatever their sympathies and understandings of Daniel 8:14, clearly recognized that Dr. Ford's views are not in harmony with the church's official position as voted at Dallas. What, then, of his assertion that the Glacier View consensus statement acknowledges the accuracy of his manuscript's main points, and that to repudiate the manuscript would be to repudiate the views of the consensus statement? Fortunately, on this matter Dr. Ford has not relied on "in essence" ambiguities. As a postscript to his August 26, 1980, letter to Pastor Parmenter, he enumerates "twelve key points" of agreement between his manuscript and the consensus statement (see below). In fact, however, the "agreement" appears to exist only in Dr. Ford's perception, as we shall see. 1. "It is the little horn, and not the sins of the saints, which defiles the sanctuary." This view of Dr. Ford is not supported by the consensus statement ("Christ in the Heavenly Sanctuary," Section IV). There it is asserted that (1) "we believe that our historic interpretation of Daniel 8:14 is valid" (the heavenly sanctuary is to be cleansed from the sins of the pro fessed people of God); (2) "the work of divine judgment that issues from the heavenly sanctuary has two aspects: One centers in God's people on earth; the other involves the whole universe"; (3) Daniel 8:14 and Leviticus 16 are related by "their parallel ideas of rectifying the sanctuary from the effects of sin"; (4) Daniel 8:14 "denotes the reversal of the evil, caused by the power symbolized by the 'little horn,'" which "casts down the place of the sanctuary (Dan. 8:11) and thus occasions the need for its restoration or purification." And because the "little horn" power is on earth and the sanctuary is in heaven, Adventists have understood that the conflict has cosmic as well as historical significance. As the consensus statement asserts, "We may see how the restoration of the heavenly sanctuary corresponds to—and is a reversal of—the earthly activity of the 'little horn.' "
The consensus statement therefore upholds the historic position of the Seventh-day Adventist Church on Daniel 8:14, while at the same time focusing on the restoration of the heavenly sanctuary from the attacks of the little horn. Be cause this little-horn power is an apostate Christian power, it is also under scrutiny during the cleansing of the sanctuary. It is therefore incorrect to conclude that "it is the little horn, and not the sins of the saints, which denies the sanctuary." In fact, the consensus statement does not specifically deal with the defilement of the sanctuary. In no way does the statement exclude defilement of the sanctuary by the sins of God's professed people. 2. "The cleansing of Dan. 8:14 has to do with restoring the damage done not by the saints but by the little horn." This view is contrary to Section IV of "Christ in the Heavenly Sanctuary." 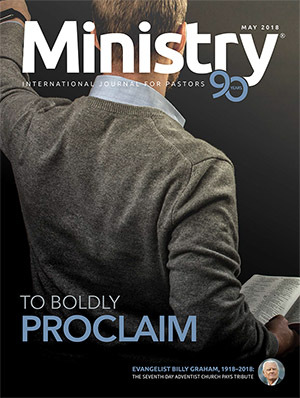 Although the consensus statement refers in several instances to the activity of the little horn in relation to the restoration of the heavenly sanctuary, the validity of the church's position on Daniel 8:14 is affirmed. The view on the activities of the little horn and the church's position are not mutually exclusive but complement each other. Keep in mind that (1) the little horn is an apostate Christian entity, and that (2) God's actions in the sanctuary include all His professed people. 3. "The meaning of the key verb in Dan. 8:14 is not basically 'cleanse,' but justify, vindicate, restore." Says the consensus statement (Section IV): "The Hebrew word here is nisdaq, which has a broad range of possible meanings. Its basic idea is 'make right,''justify,''vindicate,' or 'restore'; but 'purify' and 'cleanse' may be included within its conceptual range." The statement, therefore, acknowledges "cleanse" to be an accepted meaning. One cannot be dogmatic as to its meaning, because the Hebrew passive form of the verb is not found elsewhere in Scripture. The additional meanings suggested above are simply derived from sadaq, the root of the verb used in Daniel 8:14. 4. "There is no obvious verbal link be tween Dan. 8 and Lev. 16." "Christ in the Heavenly Sanctuary," Section IV, states that while there is "not a strong verbal link between this verse [Dan. 8:14] and the Day of Atonement ritual of Leviticus 16, the passages are, nevertheless, related by their parallel ideas of rectifying the sanctuary from the effects of sin." To say that there is "not a strong verbal link" is somewhat different from saying "no obvious verbal link." 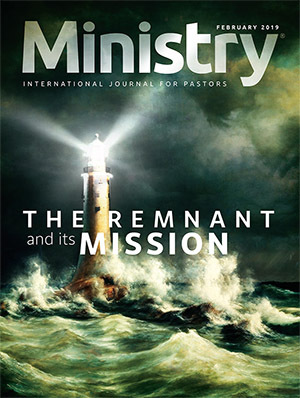 The consensus statement, there fore, does not deny the church's historic position, which sees a connection be tween Daniel 8:14 and Leviticus 16 on the basis of the idea of "cleansing" in relation to the sanctuary. Rather, the statement emphasizes the relationship of these two passages because of "their parallelism of ideas" as expressed in the concept of the Day of Atonement ritual (Leviticus 16) and the cleansing of the sanctuary (Dan. 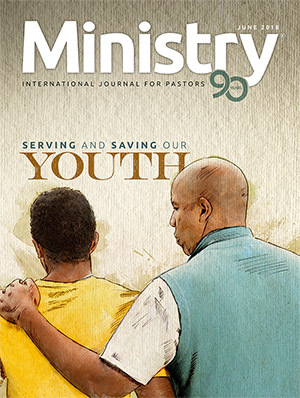 8:14). Leviticus 16 reveals that the rectifying of the earthly sanctuary from the effects of sins took place on the Day of Atonement, when the sanctuary was cleansed from the sins of God's professed people. On the basis of the parallelism of ideas it can be said that the cleansing of the heavenly sanctuary in Daniel 8:14 has to take place on the antitypical day of atonement, when the sanctuary is to be cleansed from the sins of God's professed people. The consensus statement, therefore, does not contradict the church's position on this point but rather affirms it. 5. "The year-day principle is not explicit in Scripture." The meaning of this statement as explained in Dr. Ford's sanctuary manuscript does not find support in the consensus statement. 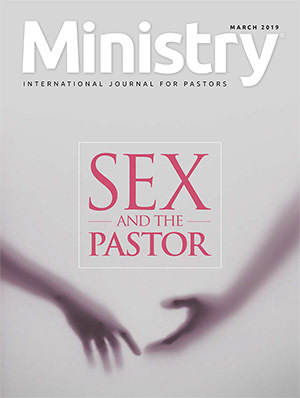 "Christ in the Heavenly Sanctuary," Section IV, asserts that "the year-day relationship can be Biblically supported, although it is not explicitly identified as a principle of prophetic interpretation." 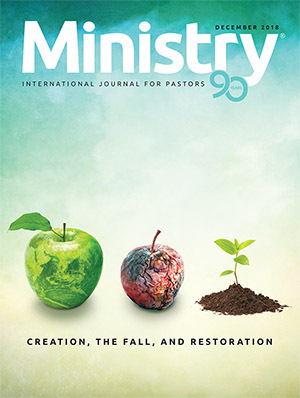 The following Biblical evidence is mentioned to show its validity as a tool in the interpretation of Scriptures: (1) "Certain prophetic periods are not meant to be taken liter ally"; (2) "The Old Testament provides illustrations of a year-day interchangeability in symbolism (Gen. 29:27; Num. 14:34; Eze. 4:6; Dan. 9:24-27)"; (3) "The year-day relationship also is recognizable in the interlocking of Daniel 8 and 9"; and (4) "Additional support is found from parallel prophecies of the 1260 days-years in Daniel and Revelation (Dan. 7:25; Rev. 12:14; 13:5)." These points are denied in Dr. Ford's sanctuary manuscript, which stresses that the year-day principle is not a Biblical datum. 6. "Hebrews 9 does draw on the Day of Atonement to illustrate that which Christ did by His sacrifice." "The book of Leviticus describes the various services of the Old Testament sanctuary. We read of the continual sacrifices, presented every morning and evening, for the people of Israel (Lev. 6:8-13). We read also of several types of individual offerings to express confession, thanksgiving, and consecration (chaps. 1-7). And the climax of the whole system of sacrifices, the Day of Atonement, is described in detail (chap. 16). 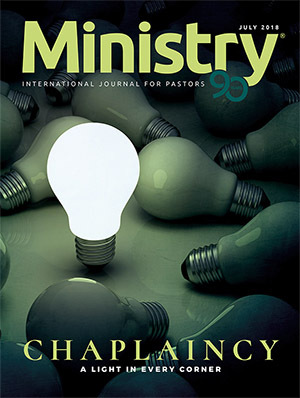 "The book of Hebrews compares and contrasts these services with the sacrifice of Jesus Christ on Calvary (chaps. 9:1-10:22). It argues that by His once-for-all death Jesus accomplished what Israel's repeated offerings could never achieve. He is the reality symbolized by the Day of Atonement sacrifices, as by all the ancient services." It also mentions that the Old Testament sacrifices were " 'imperfect'—that is, incomplete, unable to make a final end of sin (chap. 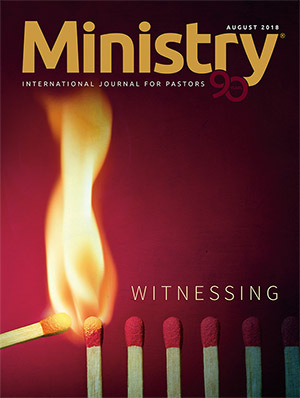 9:9). The very repetition of the sacrifices signified their inadequacy (chap. 10:1-4). In contrast, God's appointed Sacrifice accomplished what the old ones could not, and thus brought them to an end (chap. 9:13, 14)." The consensus statement therefore shows that Hebrews 9 draws not only upon the Day of Atonement but also upon the other services of the earthly sanctuary and their sacrifices. 7. " 'Within the veil' applies to the second veil, not the first, and points to access to the Most Holy Place." Section III of the consensus document reads "the symbolic language of the Most Holy Place, 'within the veil,' is used to assure us of our full, direct, and free access to God." The consensus statement simply applies Hebrews 6:19, 20 to the intercessory ministry of Christ in the presence of God, not to the antitypical fulfillment of the Day of Atonement, as Dr. Ford's sanctuary manuscript does. 8. 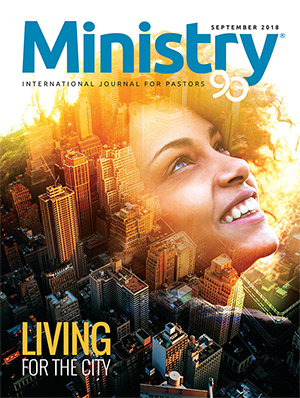 "Hebrews does not teach a two-apartment ministry (or two phases)." "Christ in the Heavenly Sanctuary," Section III, states (1) "The Hebrew sanctuary itself was but a figure, a symbol of the true sanctuary"; (2) Christ's ministry has two phases, a "first phase" and a "final phase." There is, therefore, no denial of a two-apartment (phase) ministry. 9. "Christ, not the Father, is the great Judge in the final judgment." Says the consensus statement, Section III: "We should be clear, however, that while Christ is Judge, He is our Intercessor." Although this statement at tributes judgeship to Christ, it does not deny that God the Father also is Judge. If this were not true, what would be the need of an intercessor, which position Christ is said to hold along with His judgeship? Note also that the statement refers to Christ as judge, not as "the great judge," as Dr. Ford states. 10. 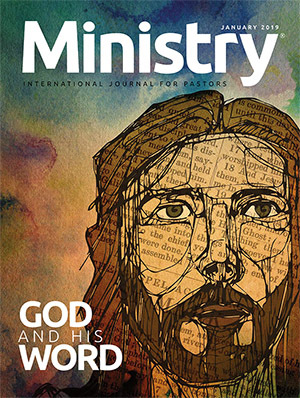 "We should not speak of our Lord's heavenly ministry in terms of apartments." 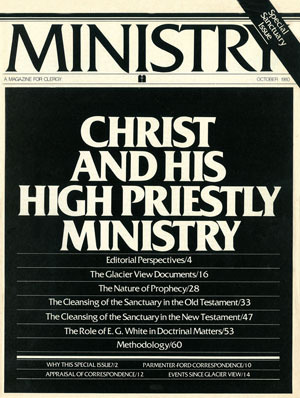 Although the consensus statement (Section III) mentions two phases of Christ's heavenly ministry, nothing in it denies the validity of speaking of Christ's ministry in terms of a two-apartment heavenly sanctuary or advises that our Lord's heavenly ministry not be spoken of in terms of apartments. 11. "The N.T. viewed the second advent as imminent in its day." Section II of the consensus document alludes to "the strong and wide sense of the imminent Second Advent that we find in the New Testament." But this does not suggest that the Advent was intended to take place within the first century A.D., nor does it support the position advocated in Dr. Ford's sanctuary manuscript. 12. "Sacrificial blood purifies rather than defiles." "Christ in the Heavenly Sanctuary," Section II, makes reference in two in stances to the sacrificial significance of blood: (1) Christ as the Lamb of God and Passover lamb sacrificed for us was "God's appointed one, whose blood is an expiation for the sins of all humanity"; (2) "We know that the blood of animals carefully selected so as to be without blemish or spot . . . was a symbol of the blood of the Son of God, who would be dying for us, purifying us of sin." Here the cleansing function of the sacrificial blood is affirmed. These statements, however, do not deny that there is a sense in which defilement by sacrificial blood is separate and apart from the forgiven sinner. What, then, must we conclude? Certainly that the Glacier View consensus document does not support the twelve key points of agreement Dr. Ford alleges. To withdraw his sanctuary manuscript, then, would in no way be a repudiation of the consensus statement. And certainly an examination of these twelve points highlights the necessity of having more from Dr. Ford than "in essence" ambiguities based on "his understanding" of what the "majority of his fellow teachers" agreed on at Glacier View. The arena of differences is much wider than a simple comparison between Dr. Ford's views and the consensus statement. It must also include a comparison of his interpretations with Scripture it self and with the points established by sound principles of SDA exegesis. The ultimate question is this: How do the views of Dr. Ford measure up to the light shining from the Word of God?